35mm white squares with 6mm clear spacing. White frosted squares, is a decorative window film supplied off the roll for easy installation. 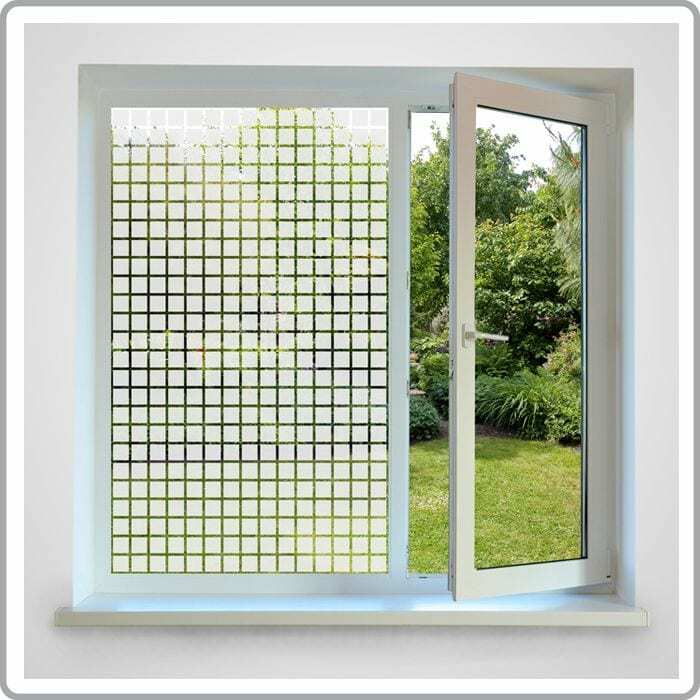 The white frosted squares are printed onto an ultra-clear polyester film which helps to create partial privacy on the glazing thus limiting the view through the glass from a distance. Your order is supplied with a free plastic squeegee to help with installation and easy to follow fitting instructions, or if you’d prefer for one of our trained window film fitters to fit the film for you, then please contact us for a free no obligation quote. If you would like to receive a sample of this film, then please use the ‘FREE Sample Service’ page at the bottom.